Turns out, not making the playoffs year after year is tougher statistically than actually making them. 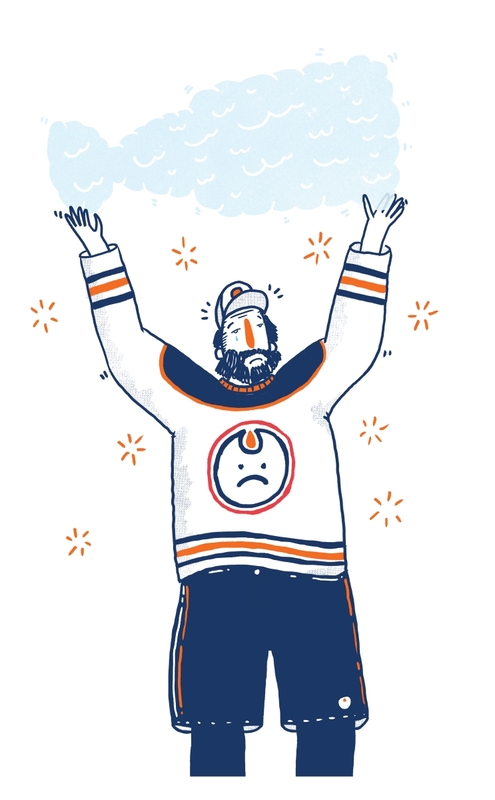 It’s been a little over 10 years since an NHL playoff game was hosted in Edmonton. And, with the Oilers finishing with the second-worst record in the entire league last season, it would take a major reversal of form for the team to break its playoff drought in 2016-17 – new Rogers Place digs and all. But, before tossing a blue-and-orange jersey onto the Rogers Place ice, before calling into a sports-talk show with your wild trade suggestions, take a deep breath and instead, focus on the fact that the team is, well, making history. Think about just how hard it is to miss the NHL playoffs so many seasons in a row. Hockey is not like baseball or American football, where you need to be in the upper tier of teams to get into to the postseason. There are currently 14 teams in the Western Conference. Eight of them make the playoffs. That means, statistically, it’s more difficult not to make the playoffs than to get to the post-season. So, to miss the post-season so many years in a row… believe it or not, it’s far more statistically improbable than winning a Stanley Cup. To determine probability, you multiply all of the chances of missing the playoffs. Once you’ve done the calculations, you’ll get odds of 100,000/38 – which, when you whittle it down, works out to the ballpark of 2,500 to 1. To put that in perspective, all things being equal, each team would begin the NHL season with 30 to 1 odds of winning the Stanley Cup. To miss the playoffs 10 seasons in a row is a little more than 80 times more statistically improbable than winning a Stanley Cup. We ran these numbers by stats expert Byron Schmuland, a professor in the University of Alberta’s Department of Mathematical and Statistical Sciences. “(The) calculations are correct, provided you believe that ‘making the playoffs’ is completely random,” Schmuland says. “It would be like putting the names of the 30 teams in a hat, and randomly drawing out 16. So, instead of fretting about where the Oilers will finish, embrace the fact that you’re witnessing a team currently on a streak that’s for the ages. That’s something to be proud of, right?